INDIANAPOLIS (AP) — Jim Irsay is reuniting the Beatles piece by piece. 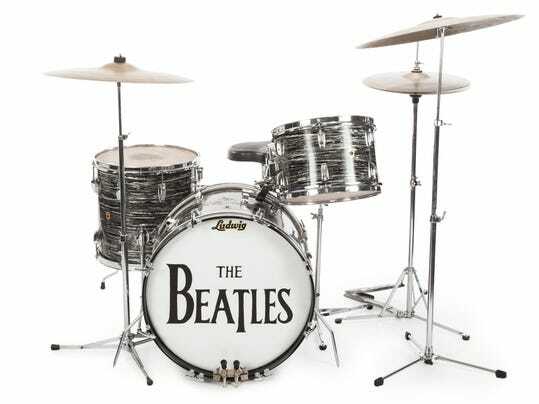 The Indianapolis Colts owner made his latest pricey purchase Friday, picking up Ringo Starr’s first Ludwig drum set at auction for $1.75 million. “Finally, after 45 years, the Beatles are together again,” Irsay said in a text message to The Associated Press. Irsay owns prominent guitars from the group’s other three members — Paul McCartney, the late George Harrison and the late John Lennon. Earlier this year, Irsay also purchased a drumhead that will fit the set he just bought. Irsay is a huge music fan and an avid collector. He owns roughly 30 famous guitars, including instruments used by Bob Dylan, Jerry Garcia and Eric Clapton.